Radley's former chief executive Roger Best is returning to the fold. Best retired in 2009, but has decided to come back to the British handbag label as chairman and interim chief executive. Best's decision to return to the workforce follows the resignation of Paul Mason, who's been the company's chairman since 2008. He's leaving the world of accessories behind for the chairman post at baby products company Mayborn. Radley chief executive Sven Gaede has also elected to move on with his career after three years with the fashion firm. It's unclear why he's decided to depart, but Best will take over his duties while Radley searches for a permanent replacement. It sounds like a lot for the formerly retired Best to take on, but he's clearly still passionate about the company he worked with for so many years. "I strongly believe in Radley and the qualities that have made its products loved by women everywhere," he explained, before adding that he hopes to assert Radley's place in the British fashion marketplace and help it grow to become a global force. 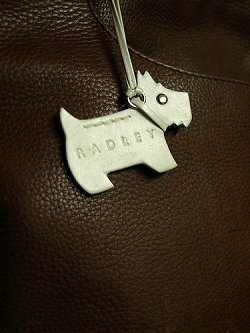 Since 2008 Radley has grown its revenue by 21% and opened 16 new stores in the United Kingdom. It's also begun to expand internationally with moves into Asia. I've always appreciated Radley's fine craftsmanship and quirky approach to design, so it's exciting to see it developing into a stronger international brand under Best.